Nestled on 140 wooded acres, Chartwell is a stunning single-family residence at The Pines™, a continuing care retirement community in the vibrant college town of Davidson, North Carolina. Chartwell is close to Davidson College and Main Street, where many charming dining and cultural opportunities await. 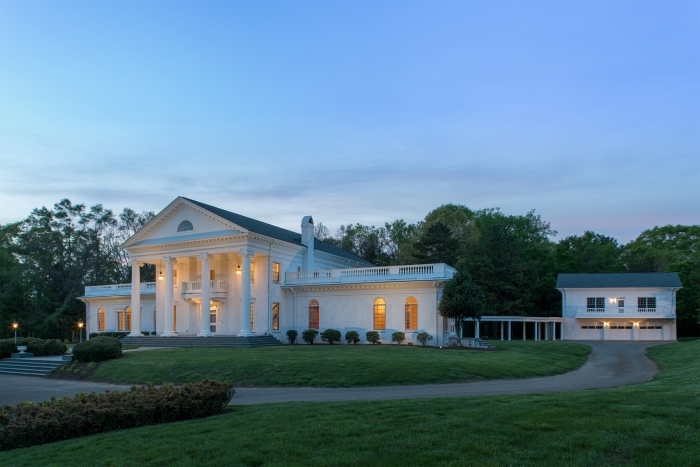 Modeled on the historic Orton Plantation, Chartwell epitomizes Southern charm with its stately columns and portico. This one-of-a-kind residence joins The Pines’ apartments, cottages and villas as an exceptional retirement living option for a single individual or couple. To assure completely carefree senior living, we even include eight hours of weekly housekeeping. See Chartwell’s graceful lawns, towering pines and colorful azaleas leading to the grand entranceway. Step inside and look around as abundant natural light streams through the Palladian windows, illuminating the carved walnut paneling in the library. Curving double staircases rise from the foyer’s black-and-white marble floor, lit by a crystal chandelier. French doors beckon to the terrace beyond the parquet floors of the music room. 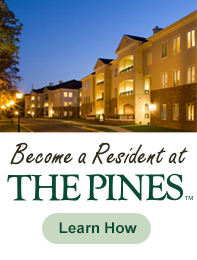 Take a photo tour of this beautiful addition to our campus and then click here to schedule a tour to view everything The Pines has to offer.